Trial attorney Douglas P. Winter has a knack for putting people at ease. Even when his clients are coping with physical pain and emotional stress, Doug’s warm sense of humor and affable manner can lighten their mood and convey a sense of hope that better days are ahead. Not that he ever sugar-coats the reality of the circumstances his clients face; Doug is known for his frank and forthright appraisals, and will tell his clients what they need to hear, especially when they don’t want to hear it! 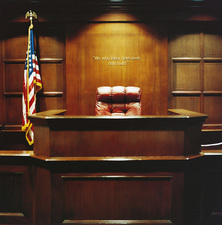 When a case proceeds to trial, there is no substitute for an attorney’s experience. And while most attorneys rarely see the inside of a courthouse, Doug Winter has built his career and reputation on advocating for his clients in state and federal courts. He’s honored to receive a steady stream of referrals from his colleagues at law to handle their cases when it’s time for trial. If legal professionals rely on Douglas P. Winter to carry their cases forward, shouldn’t you, too? To schedule a free consultation with the Law Office of Douglas P. Winter, call (916) 714-1931 or contact the firm online.